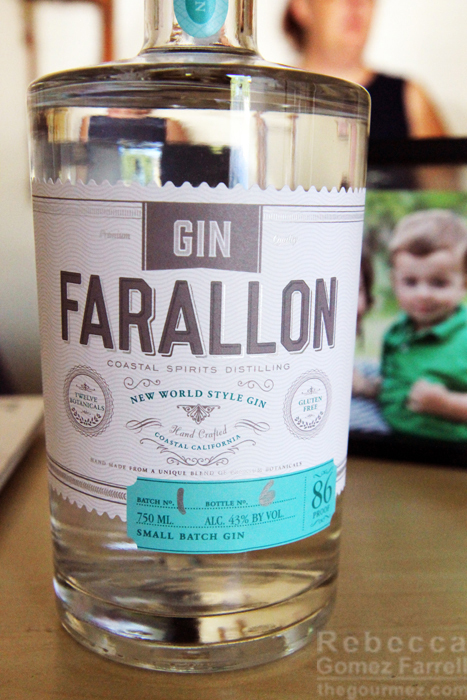 Recently, I was invited by Justin of the Grapevine Consulting to come and check out Coastal Spirits distillery and their new Gin Farallon. 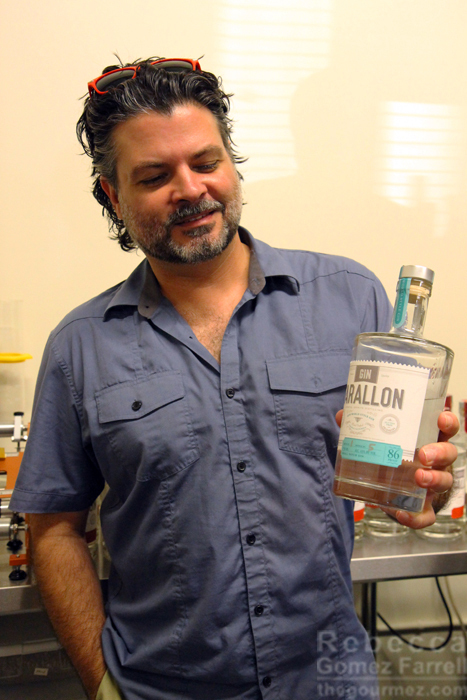 Pretty much everything about Coastal Spirits is new; Brad Plummer launched his first spirit, Vodka Farallon, last September. It’s already picked up a medal from the American Distilling Institute and is available in many Bay Area bars and restaurants. Such success so fast is a sign of Brad’s dedication to his craft. The distillery itself is new, but he’s been learning the art over the past decade, pouring over the Craft of Gin (2013) among others, and reaching way back to the Distiller, first published in 1813. Brad is so enchanted with the Distiller, he self-published a 200th Anniversary revised edition of it in 2013, and White Mule Press has since picked up the on-demand rights. 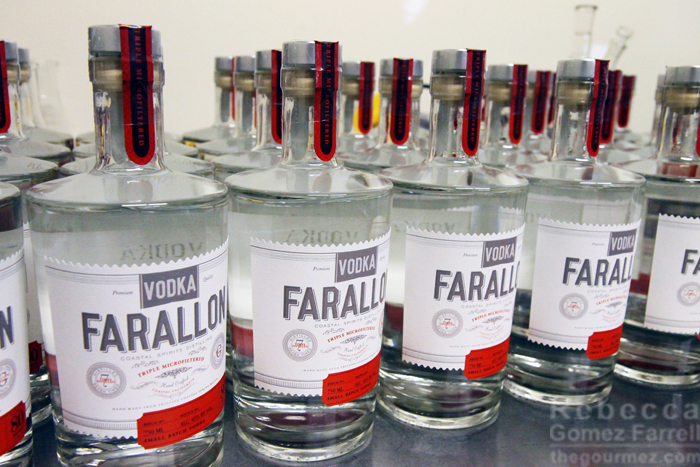 Both the Distiller and the Craft of Gin are among the prizes for Gin Farallon’s Kickstarter backers. Brad Plummer holding his Gin Farallon. Yes, that’s right, to assist with the launch of his second spirit, Brad has launched a Kickstarter that only has a week left to go. It’s obvious that perfecting a gin recipe that’ll please gin-wary drinkers such as myself is a passion of his. I am happy to report that Brad has found a winning combination! It’s soft on the palate, and dulling the alcohol heat is a surefire way for gin to impress me. The juniper is also dialed down, enough for spicy cardamom to assert itself—and I adore cardamom. Yet it’s the only one out of many ingredients that I could easily pick out, meaning Gin Farallon is nicely blended as well. I’m not going to lie, though, I’m even more excited about another gin formulation he’s working on. 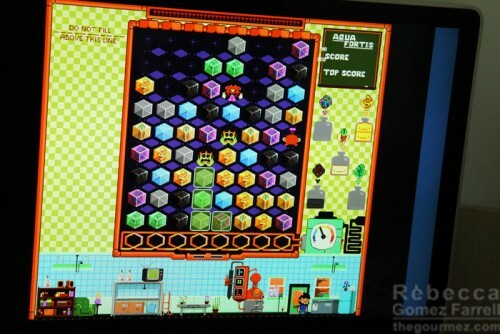 That one has a decidedly citrus bent, and I’ll be racing to pick it up when it’s out. Brad has a lot of intriguing spirits and liqueurs in varying stages of completion. Being dedicated drink bloggers, we twisted his arm into trying several. 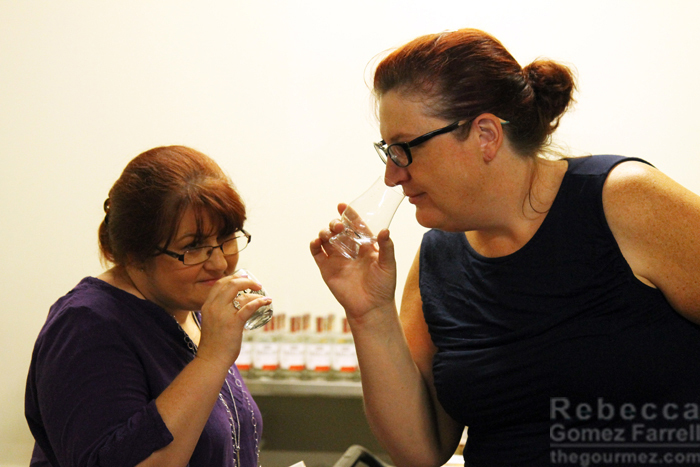 Local spirit enthusiasts Elizabeth Olson and Thea Dwelle of Luscious Lushes sniffing spirits. My favorite was undoubtedly the plum brandy, one of his first successful experiments. We had it in the midst of a delicious, Old-Fashioned-style cocktail he’s dubbed the Devil’s Tooth. I was legitimately saddened I wasn’t al fresco dining so I could linger over its many layers of yum. Layers of yum is a technical term, I swear. The amaro was nearly as intriguing. 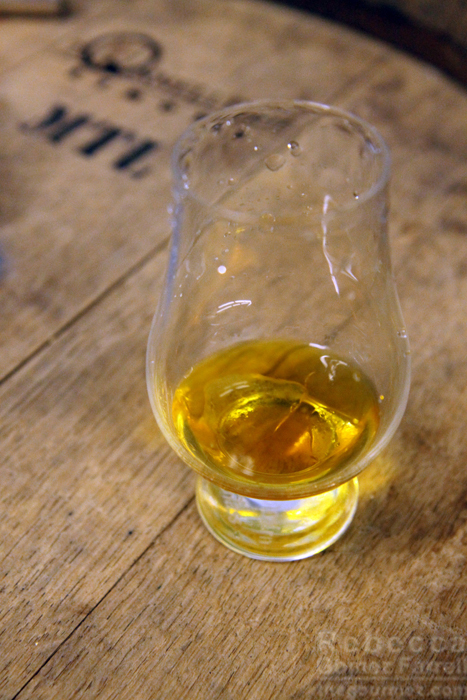 This liqueur, a popular Italian aperitif, sent delectable spices soaring over my tongue at first sip. I’d love to know the ingredient list, though maybe the mystery is best? I also really enjoyed the vodka aged in chardonnay barrels, which brought a unique brightness to what is often a forgettable spirit. That one will bring a pure and simple coffee essence to your cocktails without going overboard on the sweetness. 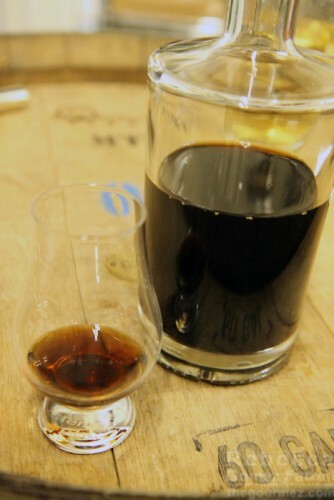 Personally, I’d like more of a roasted quality, but I have a bias toward chicory coffee liqueurs—yes, I love St. Georges’ NOLA; why do you ask? 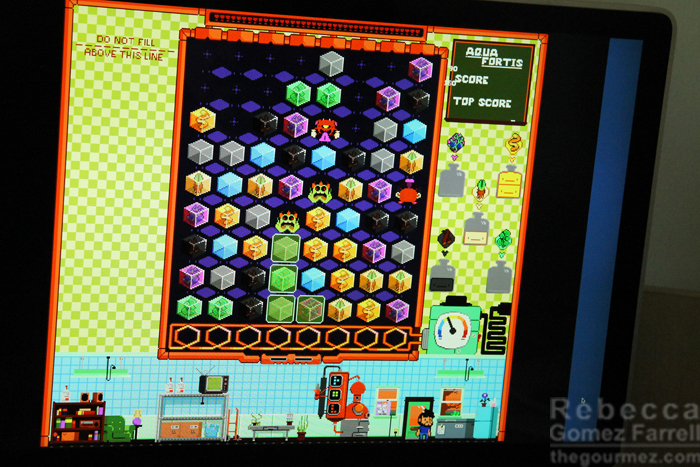 In addition to all those amazing concoctions Brad’s distilling, he’s also developed a game that brings the gin distillation process to life — Gin Tumble! It looks similar to games in the vein of Bejeweled—meaning your grandma can probably handle it—but the goal is to collect various ingredients in the right proportions to make the type of gin you’re aiming for. 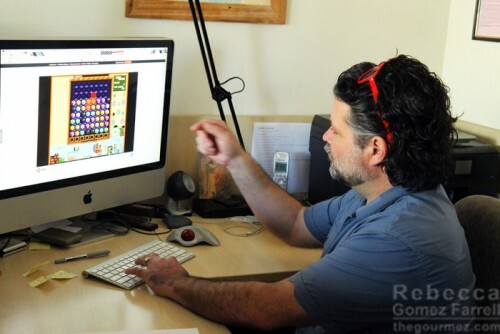 All Kickstarter backers of Gin Farallon’s launch will get access to the game—and it certainly looks worth a dollar investment on its own. At least for cocktail nerds like me who love learning more about this ancient art, though I love tasting the results of other’s learning most of all! Thanks to Brad and Justin for inviting me out and for guiding me through all the future treats we have to look forward to from Coastal Spirits. Sounds like it was a fun tasting and that Brad is doing some interesting things with gin…including the kickstarter. I’m a huge fan of gin and our local distillery does not do a good job, so I’m jealous!